The LANCOM 9100+ VPN is a central site VPN gateway which provides VPN connections for up to 200 sites as standard, upgrading to 1,000 sites with the LANCOM VPN Option. The LANCOM 9100+ VPN implements large multi-service IP network structures with the highest levels of security, reliability and performance. The right choice for secure, reliable and sustainable networking solutions "Made in Germany". The LANCOM 9100+ VPN is a central site VPN gateway that provides VPN connections for up to 200 sites as standard and upgrades to support up to 1,000 VPN connections. This connects numerous branch offices and mobile employees to your company network, with other benefits including high performance and future viability. The LANCOM 9100+ VPN offers high levels of security. 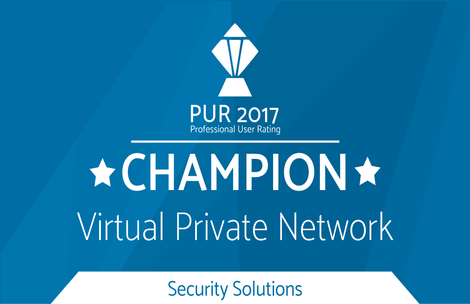 The standard equipment of 200 IPSec VPN channels guarantees strongest encryption of the communications between your sites, secure connections for mobile employees, and protection of corporate data. 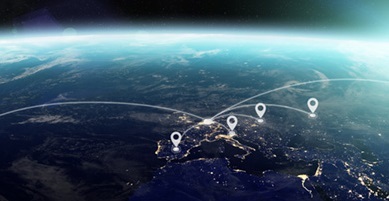 The LANCOM VPN option upgrades the central site gateway to support 1,000 VPN channels. This ensures that your network is perfectly scalable and can grow on demand - without needing additional hardware. 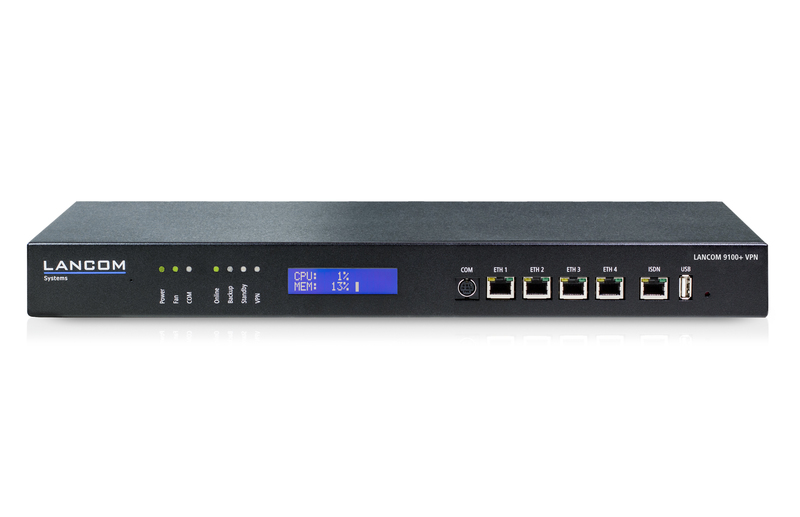 The LANCOM 9100+ VPN provides up to 256 securely isolated IP contexts, each of which has its own separate routing. This is an elegant way of operating IP applications with one central router while keeping the different communication channels securely separated from one another. A display on the front of the device provides a continuous overview of various information including the temperature, CPU load, and active VPNs. Without even starting your computer, you can see in an instant if your network is operating properly or if you need to act. 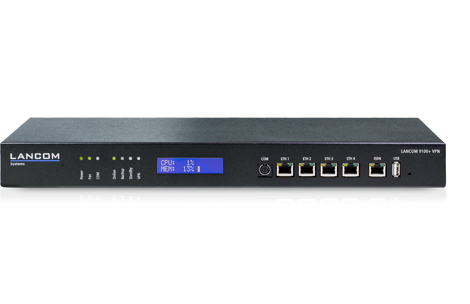 With the LANCOM 9100+ VPN, your network can do even more. The LANCOM Public Spot option upgrades the device to a hotspot gateway for deploying a user-friendly but secure hotspot. Even more security for the network comes with the LANCOM Content Filter, which blocks access to undesirable Internet content. In a market with a strong presence of American and Asian products, LANCOM offers maximum security "Made in Germany". The entire LANCOM core product range is developed and manufactured in Germany and tested according to the highest standards of security, data protection and quality. The company's own "closed-source" operating system LCOS is developed at the company headquarters in Germany. Our in-house team of developers works in a highly secure environment as certified by the BSI (German Federal Office for Information Security) - all of which is subject to the highest standards of security, encryption, and quality. LANCOM central site VPN gateways are the basis for secure encrypted site connectivity and high-speed Internet access. As professional system components, they are fully compatible to all LANCOM network devices and they facilitate flexible scaling and expansion when combined with further LANCOM components. The result is a secure and flexible all-round solution that you can rely on. The overall network down to each individual device can be managed and monitored from one central instance - for a solution that is systematic.